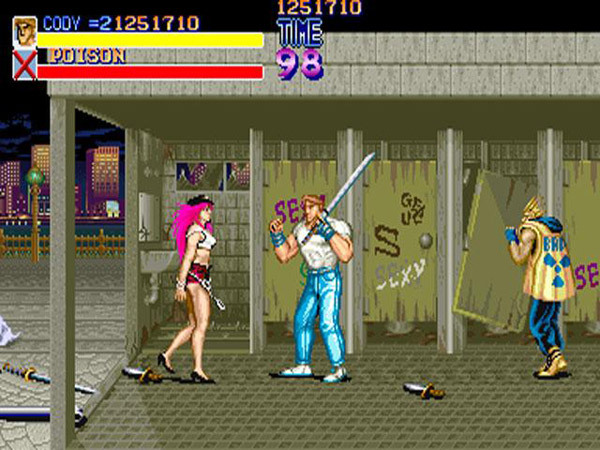 Poison and Roxy appear as two minor enemies in the game Final Fight. They are “palette swaps” for one another, simply meaning that they are the same basic design element with different hair and clothing colors to make them visually distinct. Reportedly, the characters were originally going to be women, but developers thought that this would lead the game to do poorly and be protested in America—the developers thought that Americans would find hitting women distasteful. Instead, the characters were described as transvestites, oddly enough to appease feminists, as Austen Crowder points out. When the game was released for the Super Nintendo, Poison and Roxy were swapped out for male characters (Billy and Sid), because a playtester read the women as cisgendered women (Crowder, 2009). There has been a great deal of ongoing debate as to whether Poison and Roxy are transvestites, trans women, or transsexual women (including a lot of discussion of whether they are pre- or post-op). Most recently, producer Yoshinori Ono has stated that Capcom will not take a stance on Poison or Roxy’s gender identity, as they prefer to leave it up to the fans to decide for themselves (Patterson, 2011). The video below shows Poison and Roxy in action. Poison appears at 1:20. Roxy, who looks very similar to Poison (except for the orange hair), can be seen earlier. 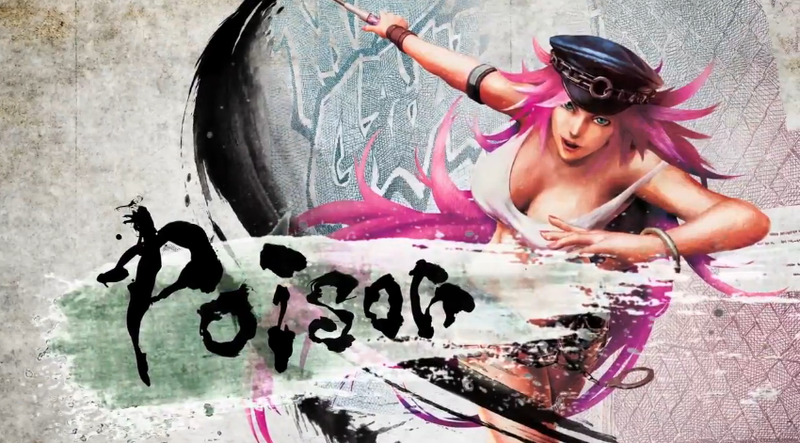 Poison is also featured in Street Fighter series, as well as Street Figher x Tekken (where she makes her debut as a playable character). This entry was posted in 1980s, Changed in localization, Playable Character, Transgender, Transgender (implicit) on September 10, 2015 by Adrienne Shaw. The LGBTQ Game Archive was founded by Adrienne Shaw, Associate Professor in Temple University's Department of Media Studies and Production and a member of the Media and Communication PhD faculty.